In which Ben imagines a crack team of crystal-wielding homeopathic commandos protecting the spiritual sanctity of the President; Craig unleashes both sanctioned/competent and unsanctioned/kooky shadowy cabals of occult librarians; Tonya imagines a ‘How to Host a Murder’ session about manipulating the soul of a CEO; and Kev gets sleep deprived and rants about Voltron. Along the way, we imagine a game where chakras are embodied in people… and what that might look like in the example of The Wire. An in-depth discussion of Chakras, with Earth Chakras appearing at the 4 minute mark. Or Chakras as explained by Guru Patik from Avatar: The Last Airbender. ~What we should have sent Craig to in the first place. Girl from Ipanema with lyrics and again, on solo guitar. Face Lift, a New Zealand show in which actors were forced to wear grotesque politician masks. and how he was seen at the time. Bob The Angry Flower ~alas, the archives go back to 1992 and I’m too lazy to find the specific page. Kim Possible and a list of characters on the show. The Middleman ~here’s the beginning of S1S1 on youtube. You’re Welcome. A game about a vampire called Analise, although I was unable to find a link. If anyone can find a link, we’d be interested to read about the game. The Great Brain Robbery, from Cheapass Games, in which you can’t win the game with Government Cheese. Godzilla Gaming Podcast– gone but not forgotten as long as some of the shows still show up on podscrapers. Leverage – the show, and Leverage – the game. Turns out there are a huge number of Radio Telescopes in the world, but none in Nevada. Here’s some amazing pictures of some of them. This is what a Prostate looks like. Palmistry or chiromancy is the fine art of characterization and predicting the future with the study of the hand, likewise referred to as hand reading, or chirology. The method is found across the world, with numerous social variations. Those who practice chiromancy are usually called palmists, palm readers, hand visitors, hand experts, or chirologists. 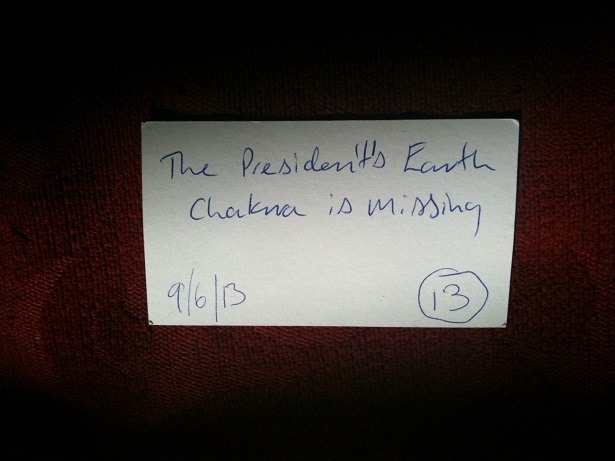 You are right, this would be a perfect way for someone to figure out that the President’s Earth Chakra is missing. Maybe the tip-off comes from a fairground palmist who meets the President during a photo-op, and e tells eir local group of alternative healers/diviners. Very cool, thanks for commenting! The theme is “Dusk to Dawn” which we got with the starter package from WordPress, although we tweaked the colors and added our own pictures. The nifty little buttons for the various social medias we got from neilorangepeel.com and the countdown widgets come from Jetpack. Among the gaming podcasts we’ve been known to listen to are: The Jankcast; Happy Jacks; The Gutter Skypes and TableTop. I’m sure my co-presenters can supply more. Fortunately, I’d stashed a three quid puncture-repair kit in my shirt, and after ten minutes I was back on my way and into the biggest climb of the race. Once the summit was reached, it was then a charge to the finish as a phalanx of male egos, and a couple of female ones, refused to give up. I crossed the line 588th, and ready to collapse. It is obvious to me that someone had hidden the Earth Chakra in the form of a puncture repair kit and is ‘selling’ it to people who they think need a boost to finish races. I wonder what effect that would have on someone’s life? If everything started going well for them until the day someone breaks in to steal a seemingly worthless puncture kit?